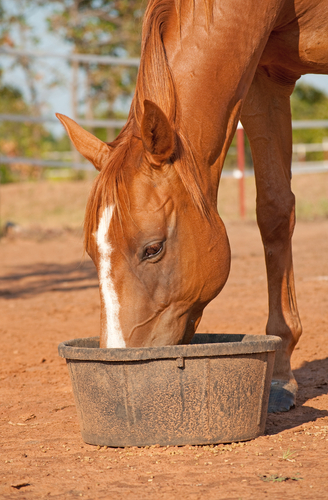 Almost every horse owner has heard about the importance of forage in their horses’ diets. 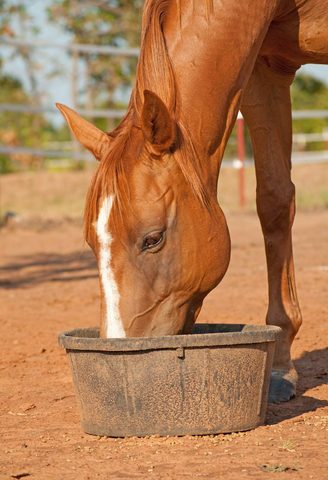 Horses that eat too much grain are prone to health problems like ulcers and colic, among other things. Forage is needed for its high fiber content, which keeps your horse’s digestive system moving the way it was intended to. Unfortunately, pasture and hay is not always possible for every horse. For example, senior horses and those with dental issues may not be able to chew or digest their food well enough. A complete feed becomes a more desirable option because it is essentially pre-chewed. Other horses may have strict dietary requirements, or may travel a lot, making a pelleted feed a more desirable option. 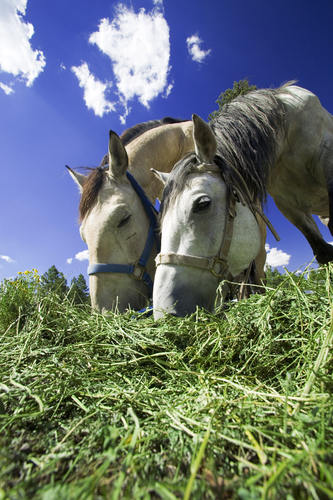 So how can a complete feed safely replace forage in your horse’s diet? The secret lies in the high-quality hay we use and how we turn it into pellets. Here’s everything you need to know about the pelleting process. 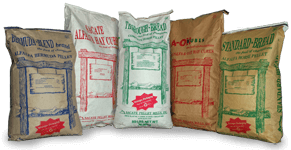 The first thing you need to know about the pelleting process is that we always start with high-quality ingredients, primarily hay harvested from local growers. Alfalfa is the primary type of hay used in our pellets, although we also have a Bermuda grass feed available. In addition, we add nutritional supplements to ensure your horse is getting everything he needs in a meal, and molasses to help bind it all together. By starting with high quality forage, we’re making sure your horse is getting what he needs to be strong and healthy, but since chewing forage isn’t possible for many horses, our pelleting process essentially chews it for them. The hay is broken down using a system of hammers, allowing it to be mixed with other vital nutrients as needed and digested easily by almost any horse. Once the ingredients have been prepared, it’s time for them to be formed into pellets. This is achieved by combining the ground hay and nutrients with moisture and molasses, and then pressing the resulting mixture through a pellet die. The resulting pellets must then be allowed to cool. Any loose dust is sifted out, and the pellets are packaged and stored. Regardless of why you’re giving your horse a complete feed, you’re counting on us to make sure it’s the best thing for your horse. That’s why we pack our pellets with only the highest quality hay, and guarantee a full complement of all the nutrients your horse needs to stay happy and healthy. For more information about the pelleting process and how our complete feeds can replace forage in your horse’s diet, contact Sacate Pellet Mills today at 602-237-3809.